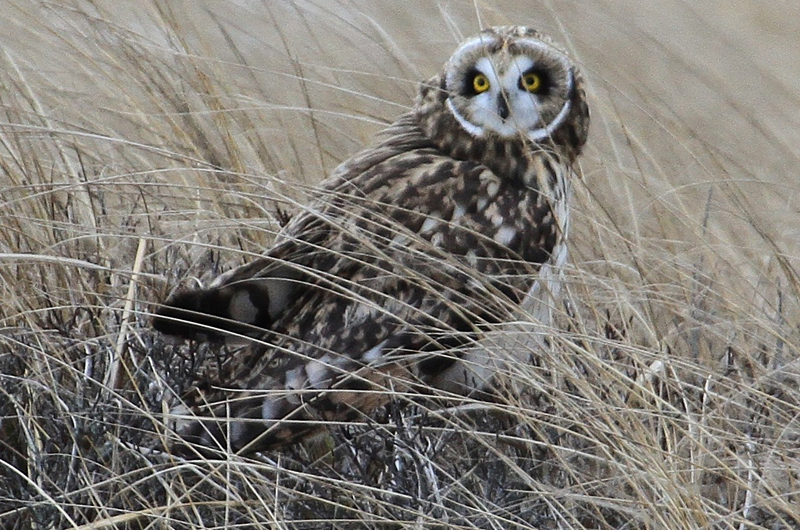 The 58th annual Martha’s Vineyard Christmas Bird Count was held on Friday, Dec. 29. At the end of the field day we all gathered at the Wakeman Center to tally our results and to share stories about the day’s highlights. Far and away the most frequently mentioned anecdote concerned the temperature; officially the temperature ranged from 8 to 18 degrees Fahrenheit, though Allan Keith mentioned it was four degrees when he left his house at 6 a.m. We were lucky in the morning, however, as it was mostly sunny and the northwesterly wind was less than 10 miles per hour. It felt colder in the afternoon when it clouded over and the winds picked up to 15 miles per hour. Brrrr, it was cold! Memorable anecdotes are informally shared at the tally — stories about the rush of adrenaline we get from finding an unexpected species. Such exhilaration is one of the reasons we go birding. Count compiler Luanne Johnson reports that her field crew was at the Head of the Lagoon. Tim Baird was looking at what might have been a fish near a small hole in the ice about six feet from the causeway, when suddenly the never-common pied-billed grebe pops up and everyone got to see it up close. 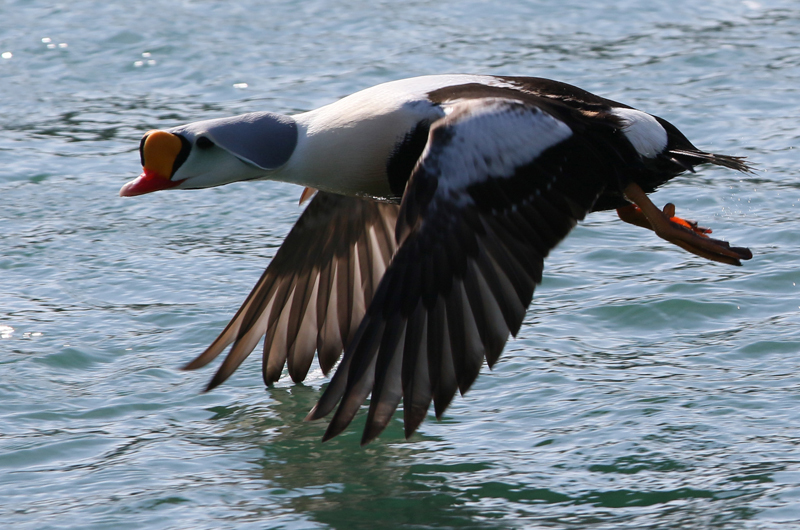 Matt Pelikan’s West Chop team was scoping the Vineyard Haven outer harbor when they spotted a king eider. This is only the sixth time this species has been recorded on our count. Given the extended temperatures below freezing we have been experiencing, tree swallows were not expected. Yet four different teams were excited to find some of these insect and bayberry-eating swallows. 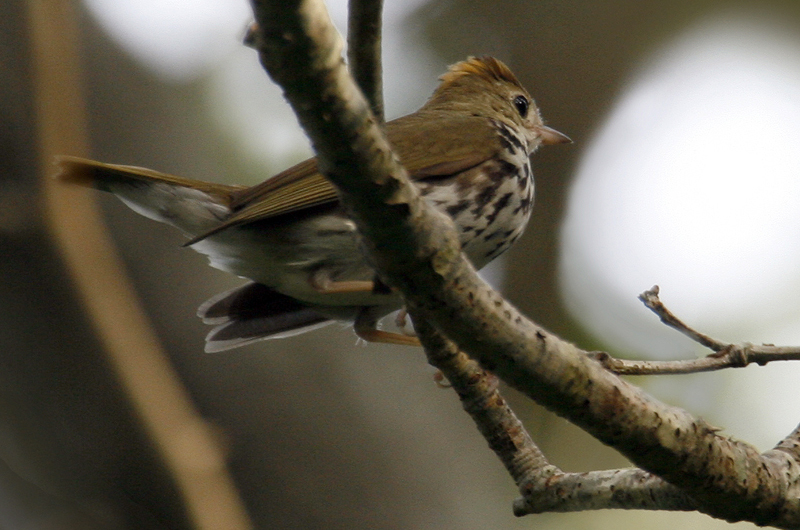 An ovenbird is never expected, yet one showed up on Dec. 27 at a feeder in Seven Gates Farm. It was a thrill for its hosts to see it then, and they found it again on Count Day. Olsen Houghton’s Seven Gates field team also found this unusual warbler. Marshall Iliff came from off-Island to join my field team, and he especially enjoyed the hour it took to identify and count the 1,486 birds of 24 different species that were huddled in and near the open waters of Town Cove where the Mill Brook joins in. To put that in perspective, that is almost one third of all the birds our field team recorded all day long — all near one little patch of open water! And speaking of lots of ice, Warren Woessner was constantly inspired by the resilience of our winter residents, particularly the ducks, as they cope with the frigid temperatures. 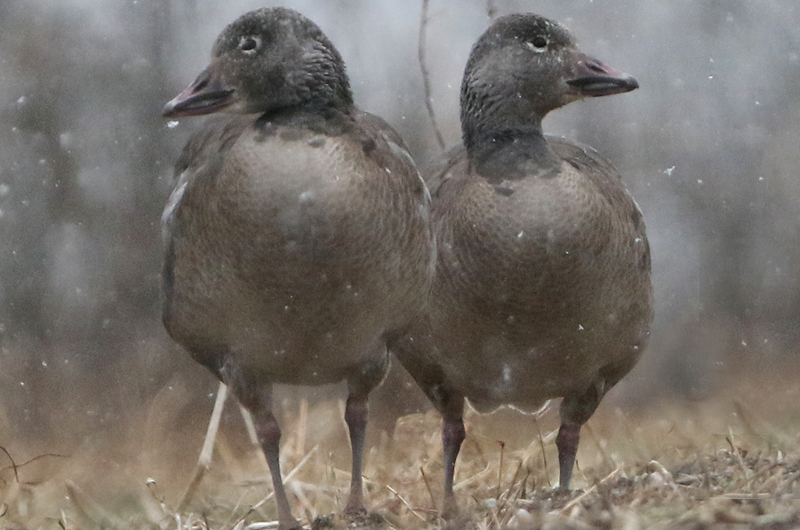 While feathers offer good insulation and water temperatures were warmer than the air temperatures, these ducks seem to easily survive conditions that we need the help of heated housing to survive. Finding a new species for the Count is an exhilarating experience. The Ross’s goose (the 221st species we have recorded on the Count) has been in Edgartown for a couple of weeks, but it is not always easy to find as a number of us (myself included) have made repeated unsuccessful attempts to track it down. Fortunately, Ken Magnuson’s Edgartown team got the thrill of finding it on Count day. It seems that almost everybody gets a rush from seeing snowy owls and bald eagles. So when my field team was out on the Tisbury Great Pond barrier beach in the cold early dawn, we got warmed up when the fourth bird we saw was a snowy owl and a short while later an almost adult bald eagle was spotted on the mostly frozen Great Pond. Birders also get adrenaline rushes when we find expected species in unusually high numbers. Nancy Weaver’s Lambert’s Cove Road team found an amazing 29 hermit thrushes, with some in every thicket they examined. And my Long Pont team found two flocks of Wilson’s snipe totaling 14 individuals; usually we are lucky to find a single member of this species on the count. Of course the tally produces some disappointment when we discover that a particular species was missed on Count Day. Especially when the species was found within three days of the count. I found two lesser yellowlegs on Dec. 27 — a species seen only once before on our count — but my team could not find them again on Count day. Similarly, black guillemot, Iceland gull, Forster’s tern, and Baltimore oriole were missed on Count day even though they had been spotted in the previous three days. They are listed in the official reports as count week species. More excitement may come in the days following the count, when we find species that were missed on the count. Judith Bryant had a covey of bobwhite quail visit her feeder and posted the sighting online. The 12 field teams could not find a single quail on count day, but since the covey of quail was observed on count day, another species was added to our count total. A number of participants also go birding in the days following the Count. And so it is likely that we add more count week species. Lanny McDowell found two male rusty blackbirds at a mostly frozen stream near Lambert’s Cove Road on Dec. 31 and again on New Year’s Day. So the unofficial results are that we found 120 species on count day, and an additional six species are count week species. A full list of the species we observed on the Christmas Bird Count will appear in a future column. Of course the count is not all the birding that happened in the past week. Mark Seponaitis found the big bridge peregrine falcon on Dec. 29. 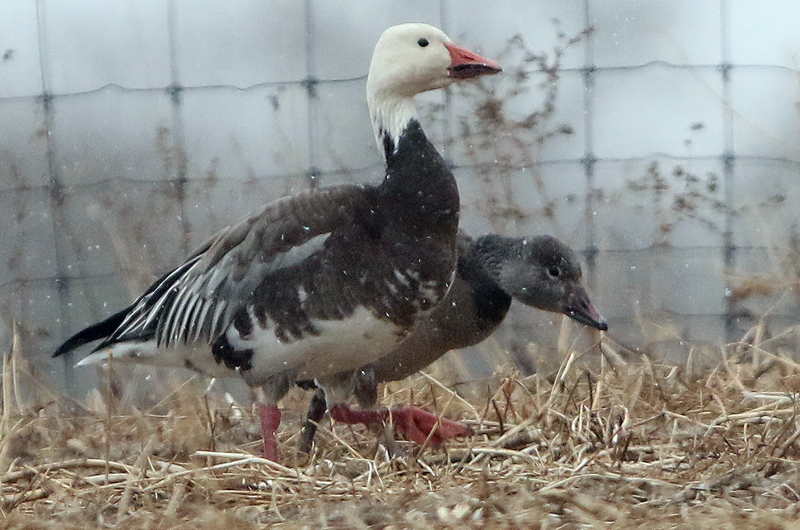 And lots of observers have reported the unusual numbers of snow geese, including at least 4 to 5 blue morph snow geese. 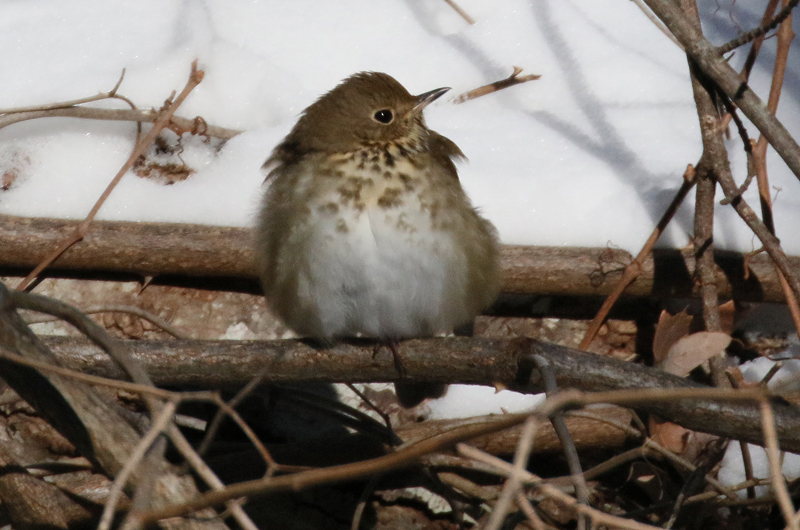 Dan Bradley observed a normally reclusive hermit thrush at a bird bath on New Year’s Day. 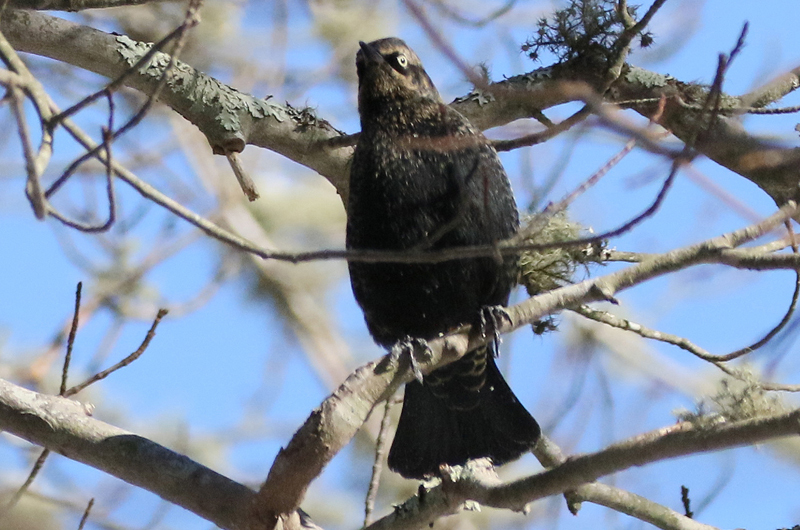 Also that day, David Stanwood found a phoebe at his home on Lambert’s Cove Road (a long way from the Watcha pond phoebe found on the Christmas Bird Count so a different bird). Happy New Year! Our many winter residents are here; please report your sightings in this new year to birds@mvgazette.com. Robert Culbert is an ecological consultant living in Vineyard Haven. Northern gannets are amazing birds. Adults are pure white except for their black wingtips. Is it too early to be thinking about the breeding season?